A common theme in weddings is a simplistic style that still embodies captivating romance. 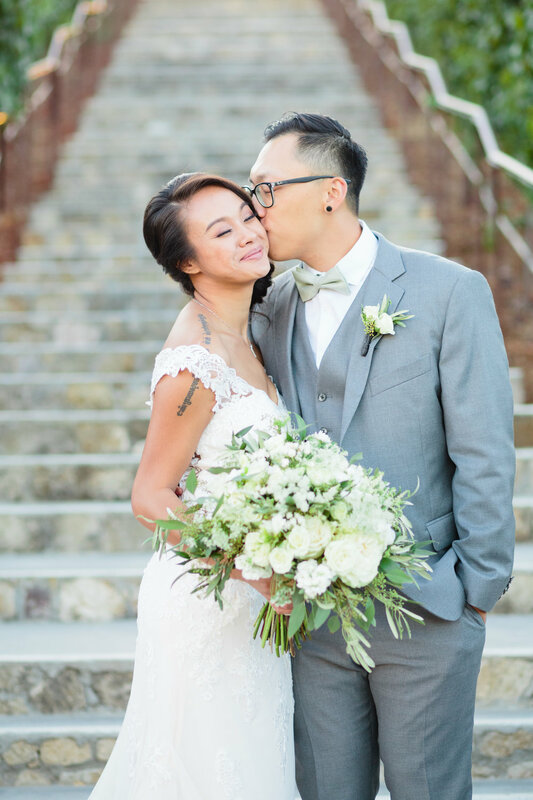 Our bride envisioned a simplistic cohesive wedding with mostly soft colors adding pops of dark green. For the bridal bouquet, we arranged white and blush garden roses, lisi, tea roses, and silver dollar, with accents of ruscus. The bridesmaids had a smaller version of the same bouquet. 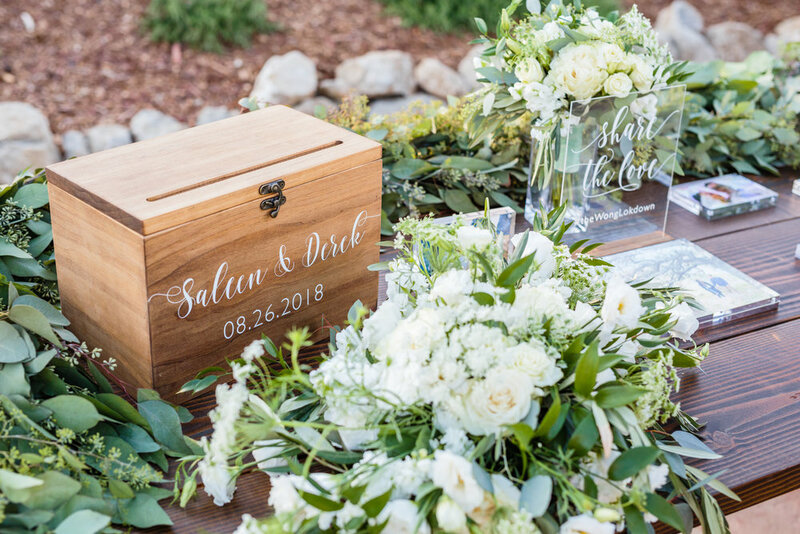 On top of the gazebo, we created an altar spray using roses, hydrangeas, and silver dollar. The centerpieces were tight and controlled arrangements arranged in a small silver cylinder. These were arranged using the same bridal blooms as all the other arrangements, to maintain the cohesive style that our bride wanted. Lastly, we topped the wedding cake with fresh clusters of roses and ruscus. 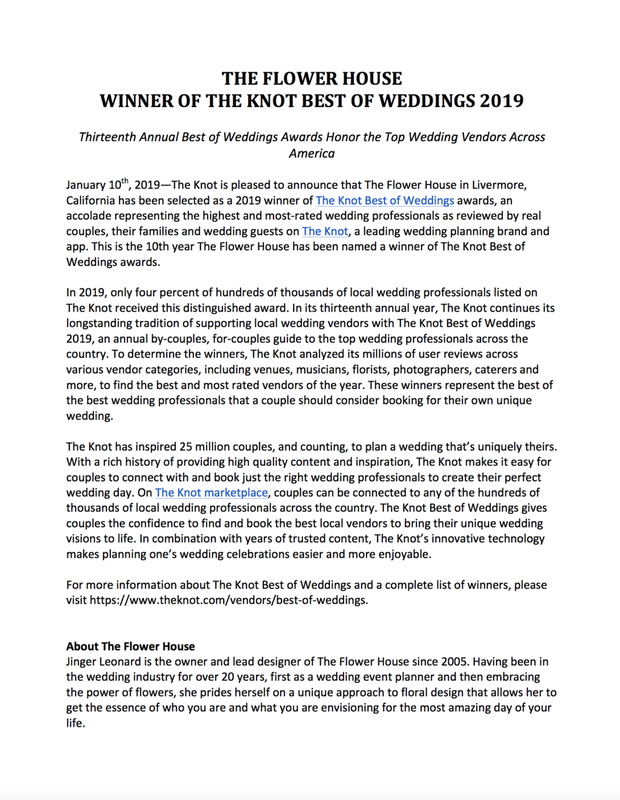 We are beyond grateful and blessed to be able to announce that we won the title of The Knot’s Best of Weddings, as well as Wedding Wire’s Couple’s Choice Awards. We are so thankful for our amazing couples to have recognized our hard work and dedication to the wedding industry and to have taken the time to vote for us. It is truly an honor as we cannot thank you enough! Let’s make 2019 another amazing year! Check out both press releases down below!